Mary Ann V. (Fusco) Morgan, of Manahawkin, NJ. Mary passed away peacefully at home surrounded by loved ones on March 27, 2019. She was born in Plainfield, New Jersey. She graduated from North Plainfield High School in 1968. On January 13, 1973, she married Ernest Morgan. They moved to Stafford Township in 1987 with their two children Michael and Melissa. Mary worked for Stafford Township School District for over 25 years as a teachers assistant. She was also a life member of the Stafford Township Volunteer Fire Company ladies auxiliary. Mary is predeceased by her brother, Anthony Fusco and her mother and father, Theresa and Anthony Fusco. She is survived by her husband, Ernest of 46 years, her children, Michael and his wife Michelle, and Melissa and her husband, Anthony Cahill. She was also blessed with three grandchildren, Michaela, Liam and Noah. Mary also survived by her niece Nicole Fusco , two nephews, Billy and Zachary Otte, her half sister Toni Elam , her sisters-in-law, Betty Garrison and Amy Otte, as well as many other extended family members. Mary was patient, kind ,helpful, giving and loving. She was the voice of reason and touched many people with her kindness. Mary will be greatly missed. 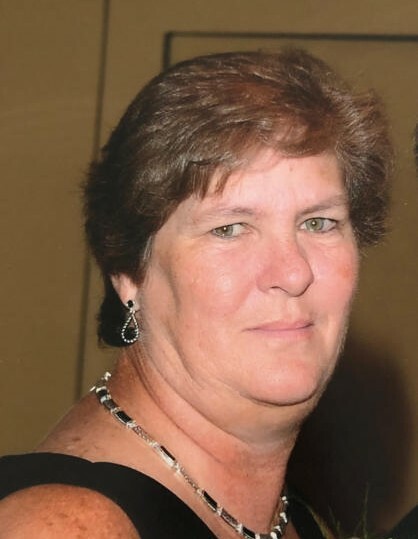 Visiting hours will be held on Saturday, March 30, 2019, from 10am until her funeral service, 12:30pm at Maxwell-Tobie Funeral Home, 573 Mill Creek Rd, Manahawkin, NJ 08050. Interment will follow at St. Mary’s Cemetery, Beachview Ave., Manahawkin.